SEAHORSE: Tallgrass Energy has signed a binding agreement with an unaffiliated third-party that has the potential to be an anchor shipper and equity partner in Tallgrass’ proposed Seahorse Pipeline, a crude oil pipeline that would run from Cushing, Oklahoma, to both the St. James refining complex and Tallgrass’ planned Plaquemines Liquids Terminal in Louisiana. Affiliate Tallgrass Pony Express Pipeline has launched a new joint tariff open season soliciting shipper commitments for crude oil transportation under a joint tariff between the Pony Express and Seahorse pipelines from Guernsey and DJ-Basin origin points to the St. James refinery complex and PLT. Tallgrass also announced details of a $30 million land acquisition that will serve as the site for PLT. The site includes more than 600 acres of land along the Mississippi River about 30 miles south of New Orleans. When complete, PLT is expected to offer up to 20 million barrels of storage for both crude oil and refined products and export facilities capable of loading Suezmax and VLCC vessels for international delivery. SWORDFISH: Crimson Midstream LLC and MPLX LP are extending the binding open season for the Swordfish Pipeline to noon on Jan. 31. The proposed Swordfish Pipeline would originate from terminal facilities in St. James, Louisiana, and Raceland, Louisiana, and provide service to the Clovelly Hub. Storage and further transportation services to end markets would be facilitated through the Clovelly Hub and connecting carriers. Pending shipper interest and final construction of the project, the Swordfish Pipeline is expected to be a multi-diameter (16″, 20″ and 30″) batched system with the ability to transport various levels of capacity, from approximately 170,000 to 600,000 barrels of crude oil per day based on market demands. The binding open season was announced on Oct. 17. 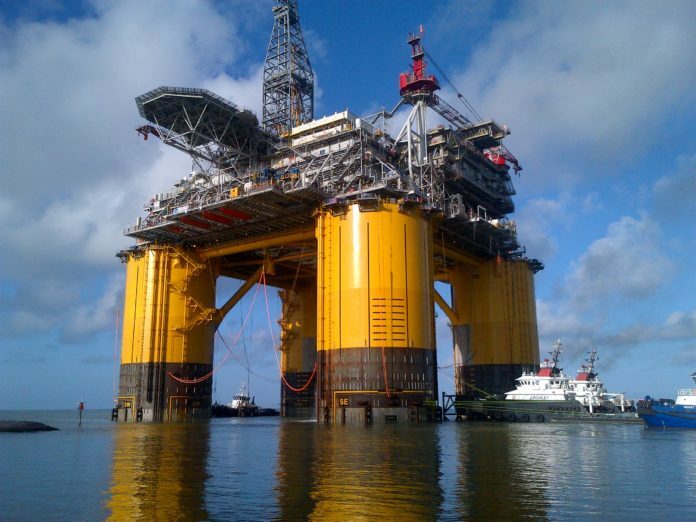 AMBERJACK: Amberjack Pipeline Company LLC, a joint venture between Shell Midstream Partners and Chevron Pipe Line Company, received the first crude oil barrels of throughput from Chevron U.S.A., Inc.’s operated Big Foot platform last month. Amberjack is located and provides connectivity along the Texas and Louisiana Gulf Coast. “The Gulf of Mexico is a key component of our diverse portfolio as we continue to see growth in production demonstrated by the Chevron operated Big Foot project,” says Kevin Nichols, CEO of Shell Midstream Partners. “We anticipate ongoing organic growth on Amberjack in the next year from continued in-field development.” The Big Foot field was first discovered in 2006 by Chevron and is estimated to contain total recoverable resources of more than 200 million oil-equivalent barrels and has a projected production life of 35 years. The Big Foot platform is designed for a capacity of 75,000 barrels of oil per day. Shell Midstream Partners acquired 75% of the issued and outstanding Amberjack Series A membership interests and 50% of the issued and outstanding Amberjack Series B membership interests in May 2018, which was the partnership’s largest acquisition to date.